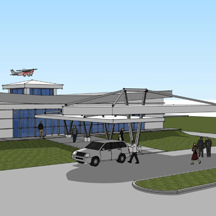 Innovative Engineering Services is providing the Plumbing/Fire Protection Engineering and Engineering Site Coordination for the project. 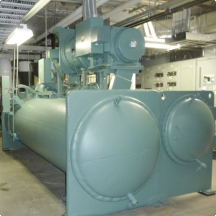 IES personnel contributed to the design services to provide a new 800-ton centrifugal chiller and associate appurtenances to replace an existing 1000-ton unit. This unit supports a 24-hour operation, research facility that supports Le Bonheur Children’s Hospital. A special feature of the project is the assessment of the building’s existing chiller cooling tower capabilities/capacities. Coordination was also required while working with the facility staff and the contractor to minimize any potential downtime during demolition/installation. The project also consists of commissioning the chiller after installation and construction administrative services. 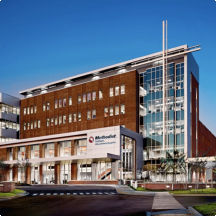 This new 210,000 SF, 100-bed hospital was the first new hospital on built in Mississippi since the 1980's. The facility, which has been in conception such 1998, was designed and constructed using the integrated project delivery (IDP) method. This project is registered for LEED HC Gold Certification. Personnel at Innovative Engineering Services provided site observations for the MEPT engineering systems. Personnel at IES assistd Brother International Corporation in receiving an award of Energy Star Rating for its 1.6 million square foot facility in Bartlett, TN. This facility is one of only twelve facilities in the state to earn this prestigious distinction. As the largest commercial facility of the group, Brother's certification has double the amount of Energy Star square footage in Tennessee. The Energy Star certification is provided by the Environmental Protection Agency (EPA) in cooperation with the Department of Energy (DOE), to indicate that a product or building meets the highest standards in energy efficiency that ultimately reduces energy. 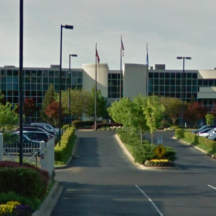 This 30,000 square foot building, which serves as a satellite center for Memphis Area Transit Authority, was built to decentralize the existing routing pattern to a hub and spoke concept. 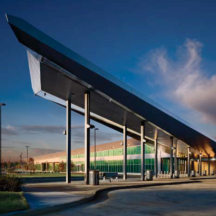 While housing MATA, Greyhound Busline, Memphis Police Satellite Station and Community space, the facility serves a transportation but private/public and land/air transportation. Personnel at Innovative Engineering Services provided plumbing and fire protection engineering design services. Jeremiah Watson served as the LEED Coordinator for the project and was instrumental in achieving LEED Silver Certification. Sustainable features of the project consist of 44% reduction in water use, 15.9% Energy Performance below ASHRAE Standard and 99% diverted construction waste from landfills. 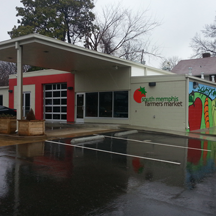 This 3600 sf facility was the first project of the South Memphis Revitalization Action Plan (SoMeRAP). With this area being a food desert, the South Memphis Farmers Market provide access to healthy and affordable food in the South Memphis Community. The project consisted of renovating a dilapidated building that had a history of being a service station, fish market and other businesses. 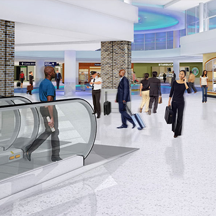 Personnel at IES provided Mechanical, Electrical and Plumbing engineering design for the project. The project is all a finalist for the Building Memphis Awards (Memphis Business Journal). 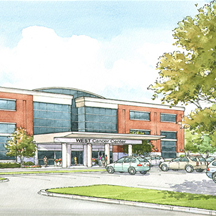 The project consistsof renovating the existing University of Tennessee Medical Group Building (located at 7945 Wolf River Blvd) for the West Cancer Center to relocate their operations. This project is currently under design . 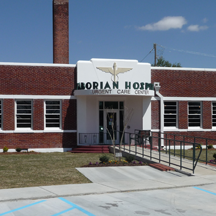 This project consists renovating an existing hospital that was originally opened in 1942 to serve surrounding African-American communities. In 1983, the doors were closed after failing to meet health codes. This 11,000 sf facility project consisted of completed removing in the existing building done to the structure. IES provided plumbing engineering design for this project. 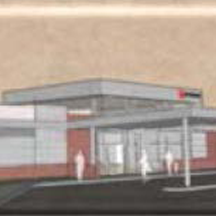 The 19,600 sf provides medical services to a community that does not have access to doctor's in close proximity. The clinic with consist of medical, dental and pharmacy services. Personnel at IES contributed to the mechanical, electrical, plumbing and technology engineering design on IES. The project is currently under construction.